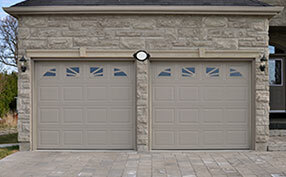 When you get new garage doors, you should emphasize on their technical characteristics. Such a particular material, like glass, needs special attention. You are not only called to consider its weight in order to choose the proper components but you must also select the right frames, the proper glass and decide whether you want it to be insulated or not. You might be surprised by that but apart from coming out in double panels, glass can be insulated. Low heat glass coating will be ideal since it will keep heat from entering the garage during warm days by reflecting the heat wave energy back to the outer environment. At the same time, it keeps the heat inside during the winter and doesn't allow the cold to pass through while it never obstructs visibility. Definitely, glass must be tempered in order to last and be resistant. Such safety glass will be your assurance that it won't cut you if it breaks. The small glass fractions usually stay put and they don't have sharp edges. Since tempered glass is strong, it can withstand fluctuations of the weather and will certainly resist elements. Resilience to elements is often important and that's why investing in aluminum frame is always wise. 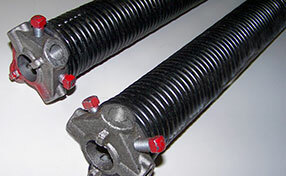 Aluminum is resistant, strong for such applications and won't rust. 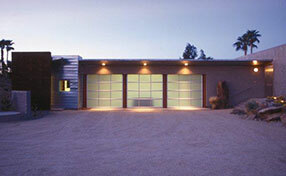 If you worry about your security, you should choose obscure glass doors. Glass comes out in several shades of white and grey and it can be purely white, clear or it completely obscure. The good thing is that you can match the shade of the glass with the shade of the frames and this will have a good effect on the aesthetical result. Most definitely, you must choose the right type of door in order to enjoy full convenience with its full opening but also full contact with the outdoor environment.